I came across this quote the other day and it really reminded me to find joy in the small details of life! Sooo true! "To live content with small means; to seek elegance rather than luxury, and refinement rather than fashion; to be worthy, not respectable, and wealthy, not, rich; to listen to stars and birds, babes and sages, with open heart; to study hard; to think quietly, act frankly, talk gently, await occasions, hurry never; in a word, to let the spiritual, unbidden and unconscious, grow up through the common--this is my symphony." With that said...Easter is almost here! And that means PEEPS, warm weather, the Masters, jelly beans, Easter eggs hunts, sweet tea, dandelions, lightning bugs and mason jars, flip flops, coconut scented sunscreen, popsicles, humming birds, picnic baskets, seer-sucker and cotton, honey bees, and being able to play golf all the way up until 8:00 at night! Even more importantly, it means I am in the clear to now wear my beloved white linen pants without the crazy fashion know-it-alls giving me the stare down! haha! But MOST importantly, Easter is the day we celebrate the resurrection of Jesus Christ! He has risen!! I have such wonderful memories of Easter Sunday growing up! Our mother always made sure the Easter bunny came to visit us and left us three BEAUTIFUL Easter baskets! Last week, during one of my daily trips to Michaels, I was inspired with visions of "yellow" as I watched a lady unload bulk boxes of PEEPS and just the day before I had seen a yellow parasol at Hobby Lobby! And so...here it is, a Perfectly PEEPS Easter. 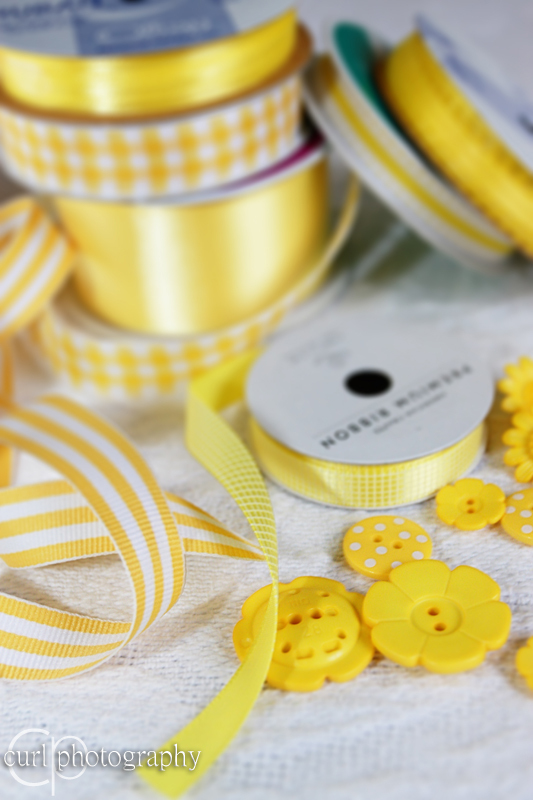 As you know, I LOVE ribbon! An inspirational color palette of yellow and white brightens up everything around you... sunshine, happiness, and energy! 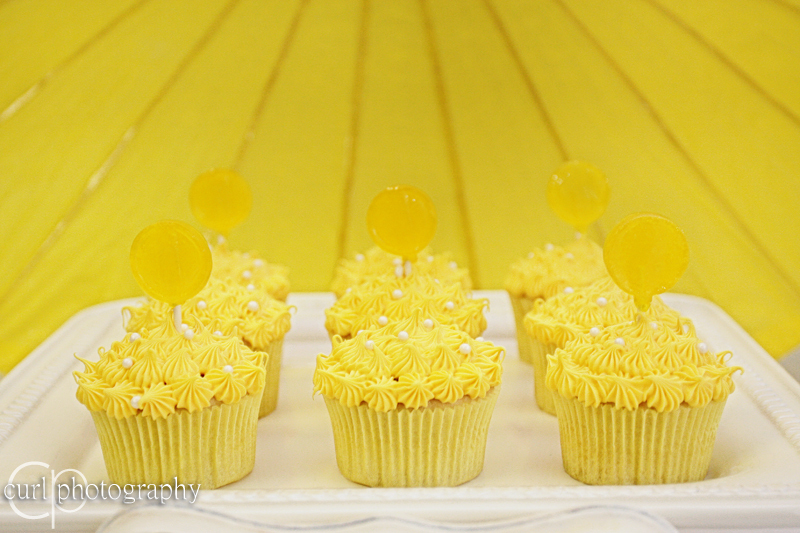 Thank you Michelle Curl, of Curl Photography, for helping to take such wonderful photos! 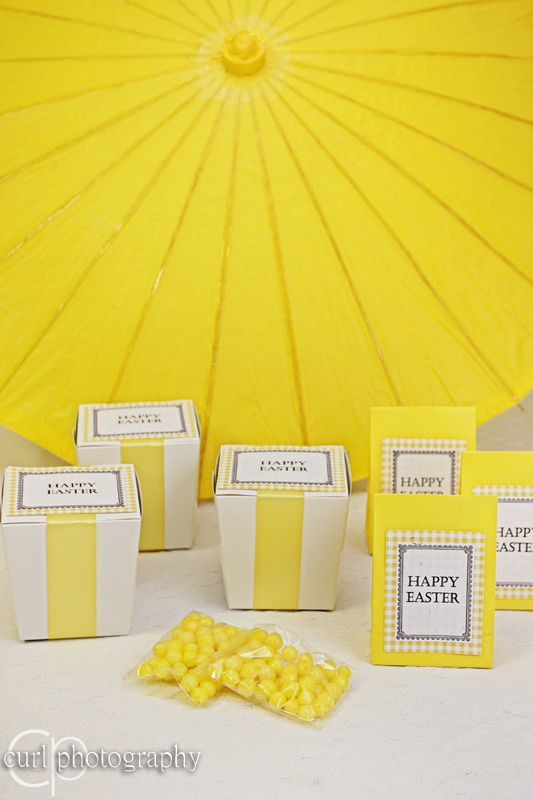 Take home candy favors really add a personal touch! You can even make personalized stickers by printing a message on sticker paper. 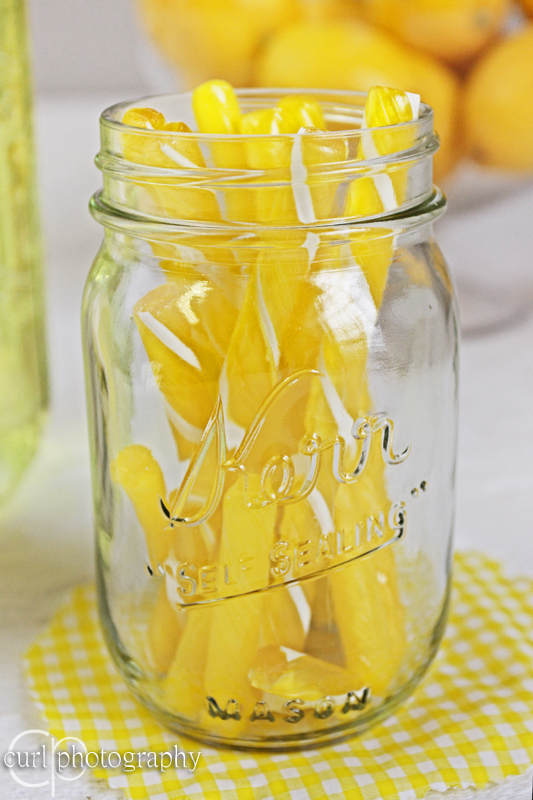 Lemon candy sticks are always a must! The best part is....you can buy them at Cracker Barrel for 10 cents each! And they usually have every color! Justin thinks I am obsessed! While at the bank yesterday, my eyes spotted a basket full of suckers! 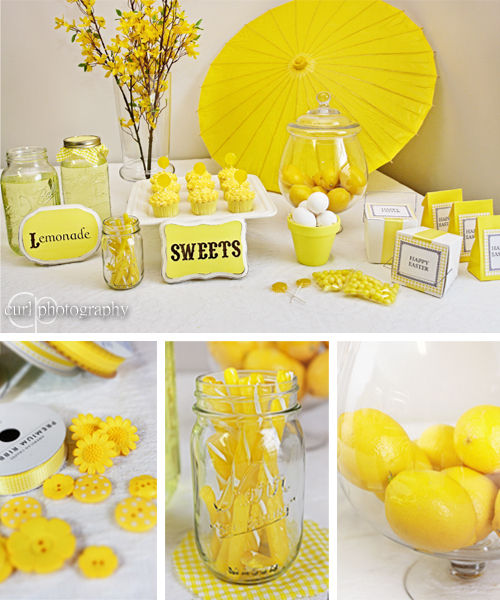 When nobody was looking, I managed to grab all the yellow ones (and then made Justin grab some too!)... then felt bad and confided in "Kurt" our friendly banker who likes to talk golf (he also made the St. Patrick's Day post) Kurt told me to take ALL the yellows, but I told him I'd probably be taking ALL the red ones when July 4th rolls around, so I'll wait! 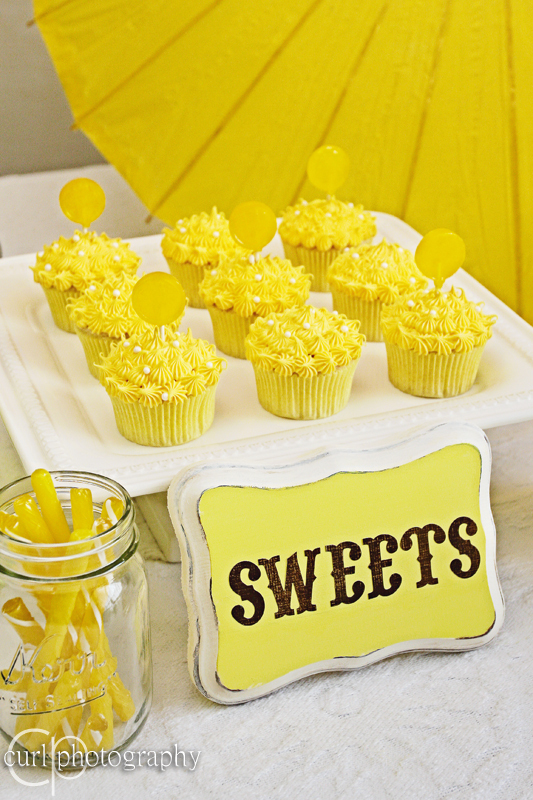 We LOVE cupcakes! I used Betty Crocker's Lemon Buttermilk Cake and Lemon Frosting recipe that I found online. 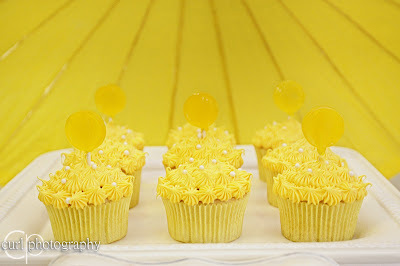 I added a couple drops of yellow food coloring to the frosting to make it extra yellow!!! 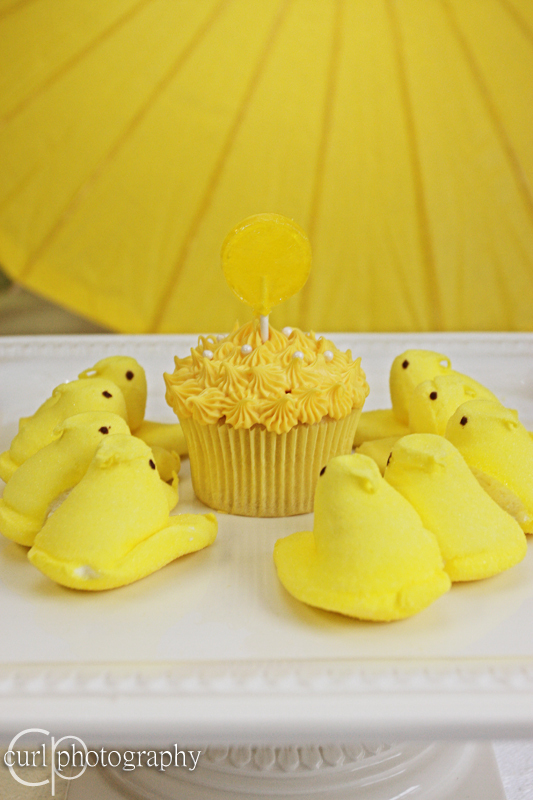 Perfectly PEEPS Easter wouldn't be complete with the perfectly matching accessory! I hope everyone has a wonderful Easter! Enjoy every last detail! 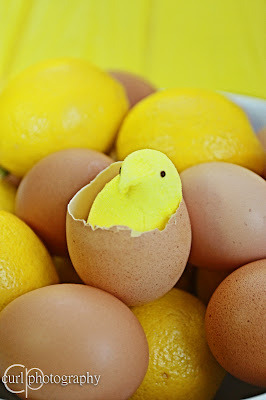 I LOVE Peeps. But this is how I like them....buy them and cut open the package. Let them air out until they become very stale. Then eat them. You have to bite into them...then pull and they "snap"! Call me crazy...you won't be the first. Thanks Tessa! I'll let you know about Saturday! Waiting to hear back from Michelle! Hi - New follower here! Your blog is great! 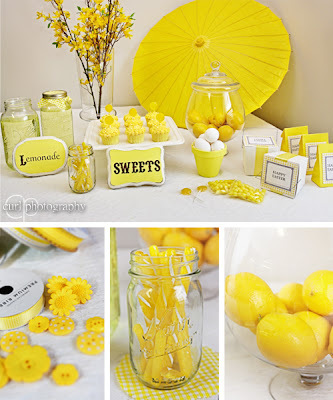 I love this post with all the yellow! Can you say sugar shock! 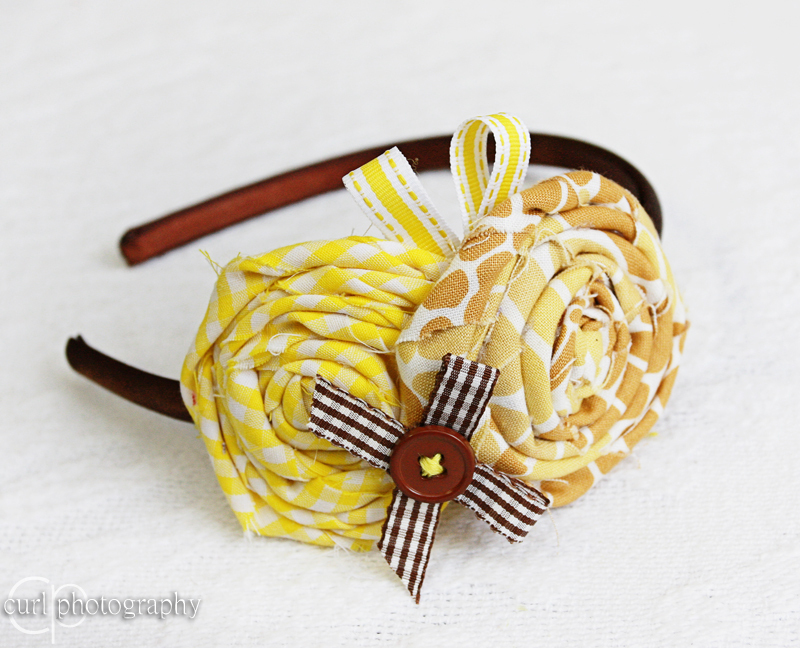 The headbands you made are great! 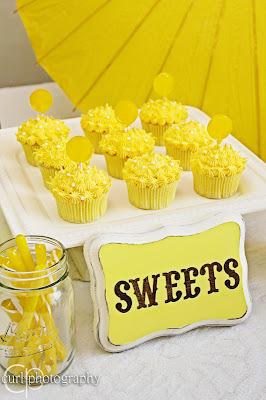 I am a fan of LLB and found your site over there Stop by my blog www.cookieandclaire.blogspot.com if you get a chance!